Touring the gardens this weekend reminded me of a couple of gardens in our area that I enjoy. I took Chelsea for a walk this morning (Michele at Laundromat reminded me just how important that can be) and enjoyed seeing their gardens along the way. I can only assume that their back gardens are just as lovely as the front. I imagine that like for most of us, the love and exuberance of gardening spills from the back to the front. But that's just how I picture it. I've never been able to view either of these gardens behind the house. 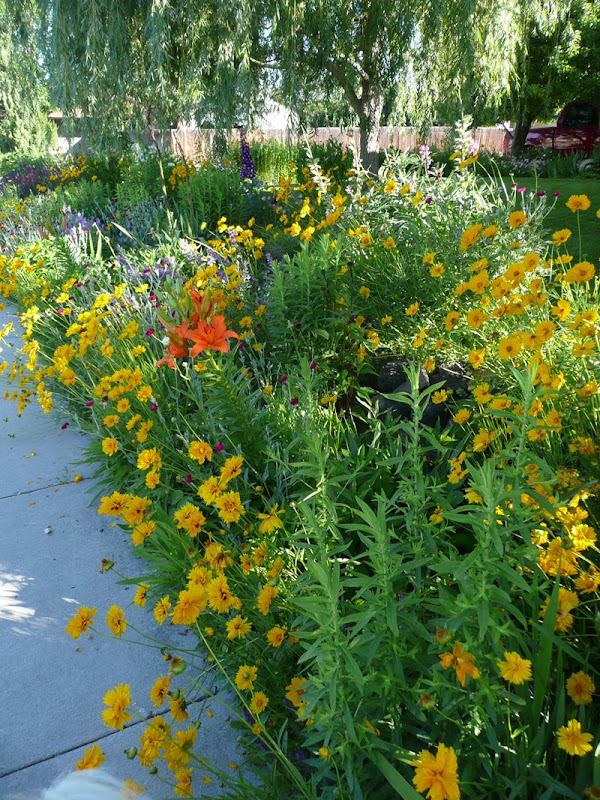 The first garden is all border, right along the sidewalk. I can testify that it looks great spring, summer and fall. I've seen the couple out there working together and separately and they do a great job. The garden is mostly full sun with a little shade from the willow tree. The second garden is the opposite; full shade. It gives the appearance of walking into the woods. Large trees overhead, little paths along the way with plantings everywhere. I would have loved to have ventured inside but I didn't want to intrude. You'll have to be content with the few pictures I managed from the edges. It is an intriguing garden that makes one want to wander. Although I've highlighted these two gardens there are plenty of attractive front gardens in our area. They are the sort that look as if they were planned and planted by the home builder; safe, easy maintenance, that sort of thing. And I don't fault anyone for going that route. 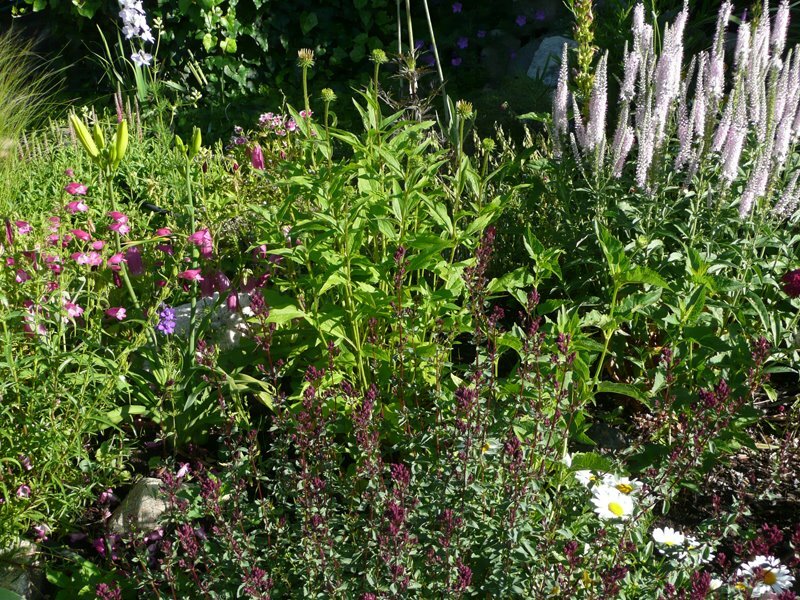 A lot of people don't have an interest in gardening, or the time, or they are looking at the resale value of their house. After all, how many people would be attracted to a house with an extensive garden? Well, only gardeners. Are there some obvious gardeners in your neighborhood? Have you approached them? 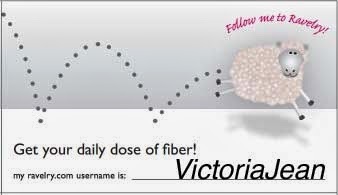 Wow, Victoria! I love the sunny garden you profiled first. It reminds me of a border I pass almost every day in front of a huge old stone farmhouse and the stone wall that encloses its side yard. 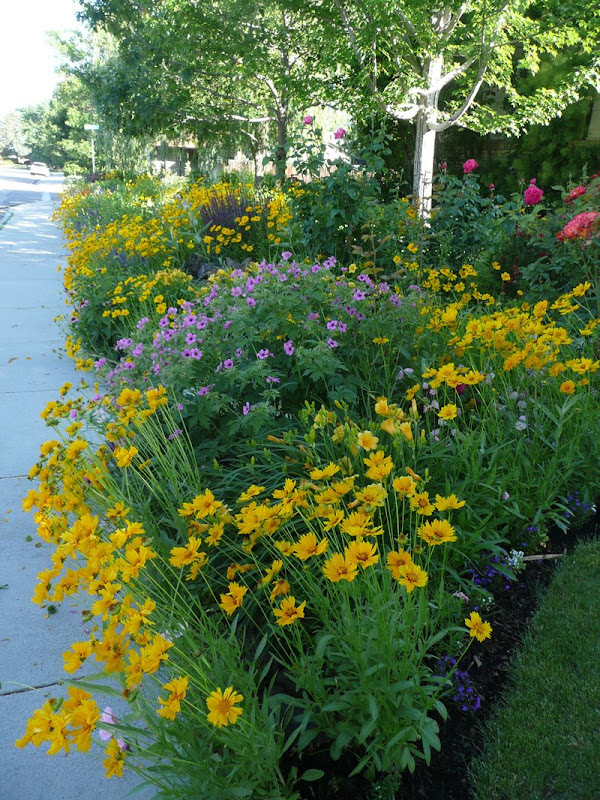 Every year, I am awed by its brilliant summer show of evening primrose, daylilies, and many other flowers in a range of yellows, oranges, and reds. I always swear I'll take some lessons from this border to apply to my own garden, but mine's mostly shade like your second example, so so far, I haven't managed. 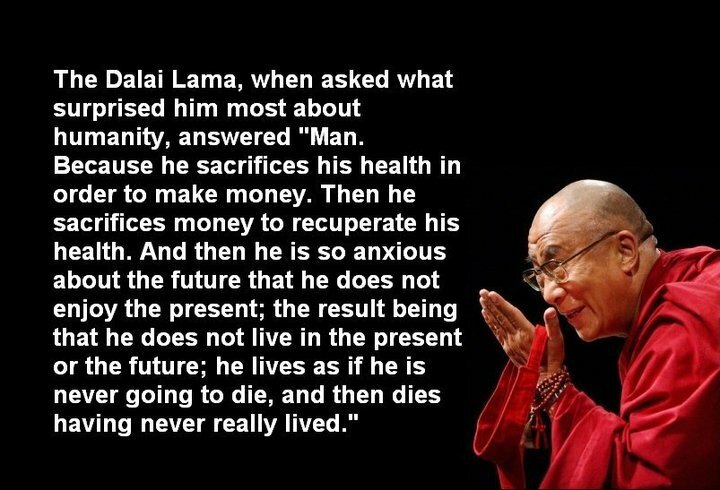 My second source of inspiration is at the far end of the same little town where the first example is at the near end. An elderly couple maintains a greenhouse and extensive veggie beds and flower borders. 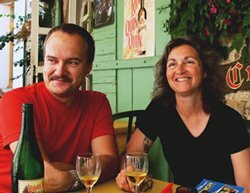 I've watched their gardens and gardening every year since I bought my home here, and was seriously considering buying the same greenhouse they have until I designed my own instead. It's so great to have sources of inspiration nearby! Hi Victoria, oooh, how pretty! There aren't many gardeners in my subdivision, although there are a few. The signs are obvious - besides the beautiful beds and blooms, it's not uncommon to see them out early in the morning and/or late into the evening in pjs, bathrobes, or grubby clothes, big hats, etc., preening, weeding, etc, even in the rain. I'm pretty reserved, but will say hello and give and compliment. It's a pretty reserved neighborhood in general - not many people out walking and not a lot of chatting on front porches or other generally friendly interaction. I've lived in a lot of different neighborhoods over the years, and this one in general is much like some of the other more keep-to-oneself kind of places - the gardeners seem to fit that general profile too. wowowwww Victoria, what a nice walk to have. Those gardens are just beautiful. 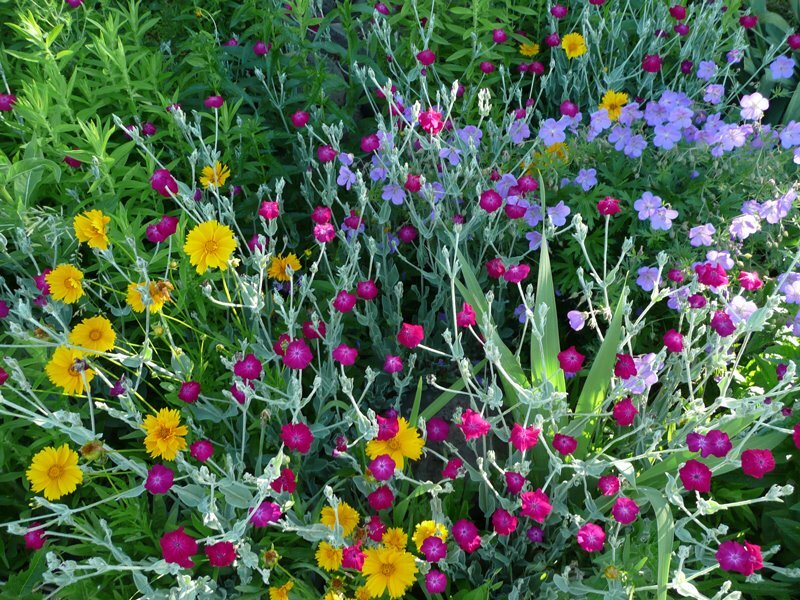 I really like the picture with the Rose Campion and the Coreopsis (?) and the Geranium (?) -- those colors together are cool! Can't wait to see it for myself! That sunshine garden is pure happiness. And, the second secret shade garden just makes me want to trespass. I so enjoy seeing garden personalities rather than landscape muffins and tuna tins. 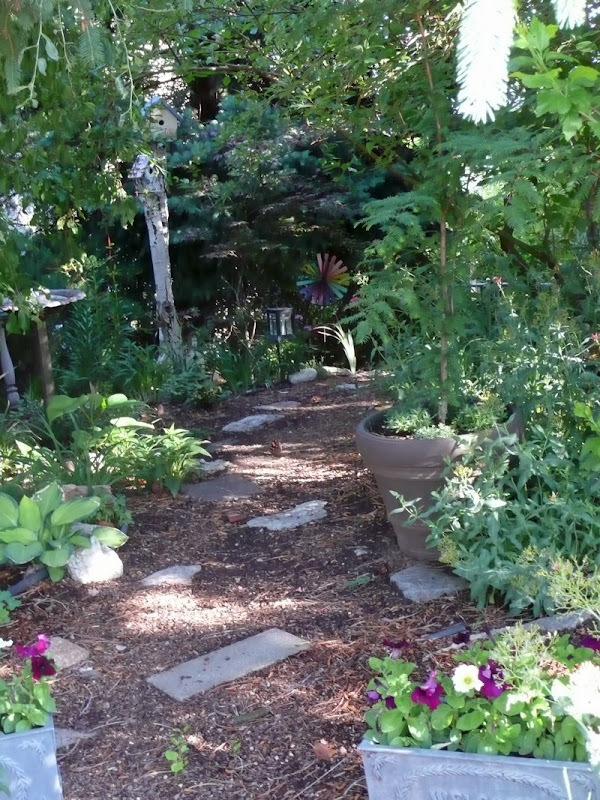 A garden that spills out into the road is the perfect invitation for conversation. Those are both great. I liked seeing the first one, I'm debating doing something like that along our sidewalk. I love the shade one too, cute birdbath with the bird in it. There is only one garden around here that has an obvious gardener. Unfortunately our street is older and most people have left the overgrown junipers and trees just go. They mow the grass and that's about it. I'd go on walks all the time if I had some views like that. I must admit, I aspire to have a garden on my whole property that looks like the first one you highlighted. I love the look and the colors are wonderful. Someday, if I keep working at it, I may accomplish all of that. The two gardens are very different, but both very charming. 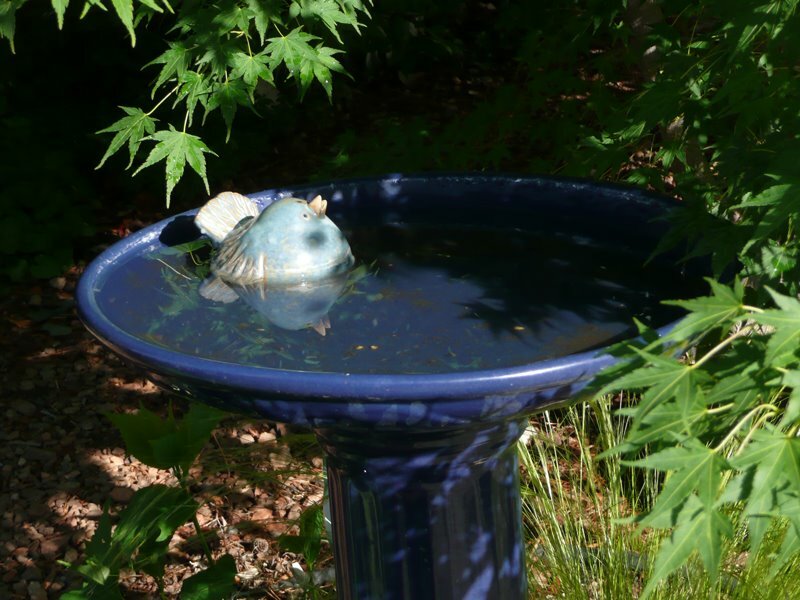 I have my eye on a blue ceramic bird bath just like the one in your photo. 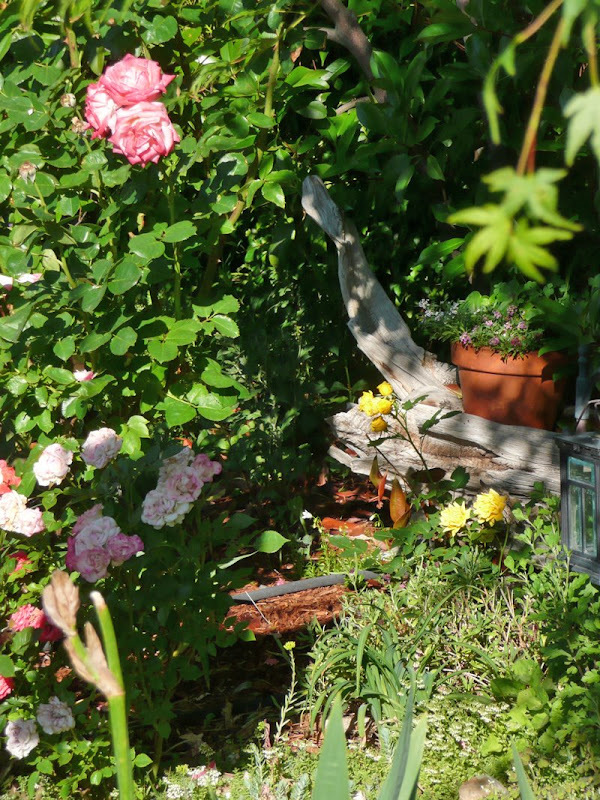 Our garden has been so full of birds this year, so want to encourage them to stay around. We so enjoy watching them as we sit on the patio in the evenings. Now I have to go on a garden tour. They are both just gorgeous. Oh I need a garden coach soooooooooooooo bad! I want to be like all of you and NOT see any soil!!! My mom was just saying that if we ever wanted to sell our house (which we will surely do someday down the road), all our gardens will probably be seen as a detriment, even though the largest one could very easily be returned to grass. No one would want this much work! But of course, we don't see it as work - we both love it. Maybe someone else will, too.